I've mentioned in my blog before that I'm slightly frustrated with my short, straight and sometimes sparse lashes. 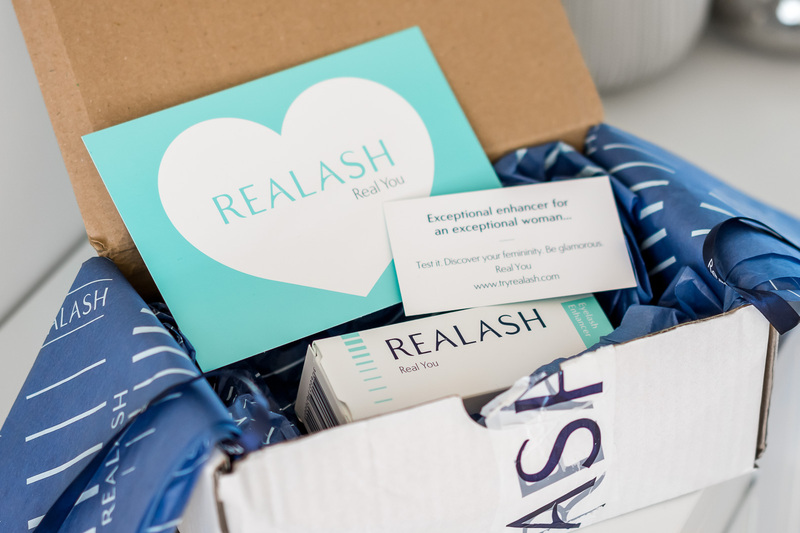 So there's no doubt about how excited I felt when I was offered the chance to try Realash Eyelash Enhancer*. The product is a serum to fortify, increase density and add length to the lashes, while also protecting them against breakage and preventing fall out. Lashes are supposed to look up to 83% longer and up to 79% fuller. The formula includes key ingredients like natural flax, marigold extract, horsetail extract (to purify the skin and keep it toned) and callamus extract (anti-inflammatory), all of which claim to keep the delicate skin around the eyes protected. Also important to mention that the enhancer has been dermatologically and opthalmologically tested (but NOT tested on animals) so there should be no side effects or risks involved. I have already started testing it this weekend and have had no bad reaction to it whatsoever. So far, so good! However, it's not recommended for women who are pregnant, breast feeding or are undergoing chemotherapy. The packaging is small and sleek. It contains 3ml of product, which doesn't sound like much, but considering we only need to apply a tiny amount once, every night, I'm confident it should last for the suggested period of 4-5 months. 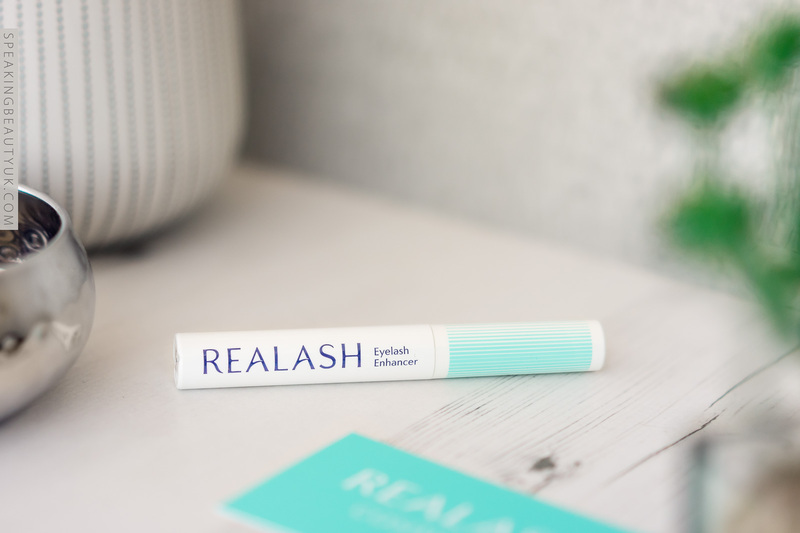 I'm really looking forward to seeing how much my lashes will improve with Realash Eyelash Enhancer. 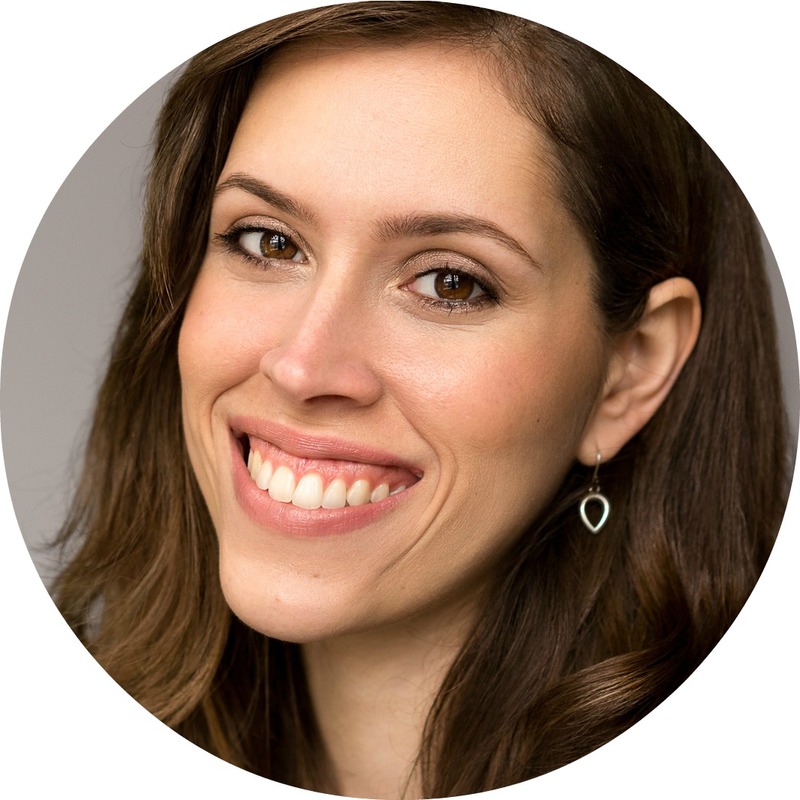 Keep an eye on the blog, as I'll take you all with me through my journey to achieve gorgeous lashes. :) This is the 1st of a series of 3 posts. I'll update you on my experience with this product after 1 month and then will show you the final results after testing it for 3 months (with before and after pictures).